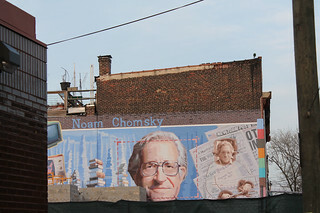 Noam Chomsky and Michel Gondry: Is the Man Who Is Tall Happy? democracynow – At the premier of the new animated film “Is the Man Who Is Tall Happy?” in New York City, Noam Chomsky joined filmmaker Michel Gondry in conversation. We play excerpts of Chomsky’s remarks on his educational background and his reflections on “Manufacturing Consent,” another feature-length film about him from 1992. One of the filmmakers behind the movie, Peter Wintonick, died last month on November 18.